The Digital Construction Platform (DCP) is an experimental enabling technology for large-scale digital manufacturing. In contrast to the typical gantry-based approach to digital construction, robotic arm systems offer the promise of greater task flexibility, dynamically expandable workspaces, rapid setup times, and easier implementation with existing construction techniques. Potential applications for this system include fabrication of non-standard architectural forms; incorporation of data gathered on-site in real time into fabrication processes; improvements in construction efficiency, quality, and safety; and exploration of autonomous construction systems for use in disaster relief, hazardous environments, and extraterrestrial exploration. The DCP v.2 platform consists of a 5-axis Altec AT40GW mobile hydraulic arm with a 6-axis KUKA robotic arm mounted at its endpoint. These two systems implement a micro-macro manipulator robot architecture akin to the biological model of the human shoulder and hand: the large arm is used for gross positioning, while the small arm can perform fine positioning, provide oscillation compensation, and improve force control bandwidth. The arm system has a radial reach of more than 10 meters, and the system’s tracked base provides mobility to the platform. DCP v.2 was designed using lessons from the v.1 system and has experimentally demonstrated significant improvements. The v.2 platform offers enhanced system control; additional environmental sensors providing real-time feedback to the system; a more rugged, compact and mobile form factor; a fully electric powertrain with a diesel backup alternative; a photovoltaic-charged lithium battery pack for self-sustaining operation; and a digitally controlled tracked base providing system mobility. 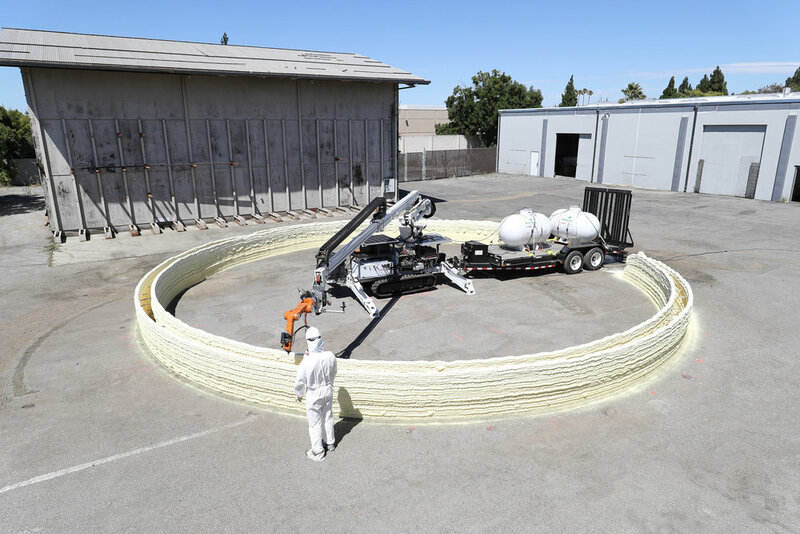 The system has successfully demonstrated large-scale digital construction with a range of different media and fabrication processes, including light printing, excavation, welded-chain construction, and additive fabrication with the Print-in-Place process. To explore the potential for on-site fabrication, an architectural test print of a 14.6 m open dome with a height of 3.7m was manufactured with a print time of 13.5 hours. Ongoing research focuses on further improving system control, particularly over nonlinear behaviors like link flexibility and micro-macro manipulator coupling; and developing new interfaces to facilitate interaction with the system. 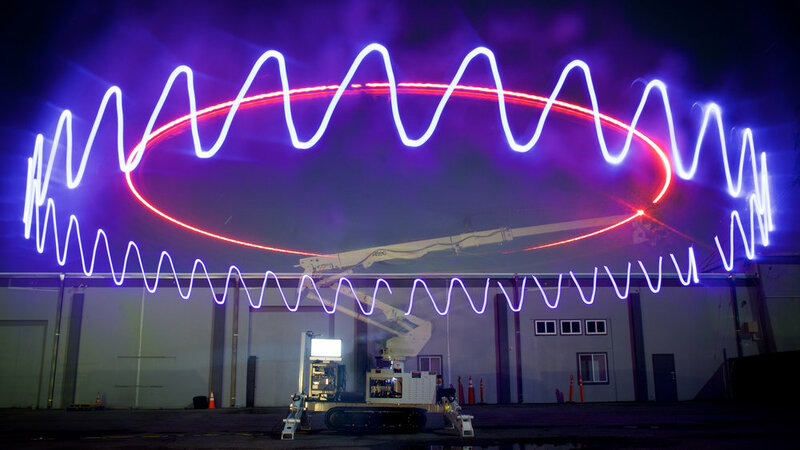 The Digital Construction Platform project was developed by The Mediated Matter Group at the MIT Media Lab. Researchers include: Steven Keating, Julian Leland, Levi Cai, Barrak Darweesh and Prof. Neri Oxman (Founding Director). This project was made possible by the generous support of Altec and Google.